Looking online at prices for Powder Coating Equipment? NOT SO FAST…. Shopping for powder coating equipment is worse than shopping for a new car. It seems like every day, someone new pops up with a slick new website and a Super Bowl worthy marketing campaign. “Tons of sizzle, but where is the steak” as my Grandad used to say. How can the average person determine who is real and established and who is trying to build discount equipment in their garage? What sales and marketing tricks are the inferior companies using to keep themselves from being exposed? Posting pricing online is a way companies hide the features and benefits of their product and hope they can reel in a few “bargain hunters”. Let’s face it, we all want the best deal possible but there is a BIG DIFFERENCE between price and value. Smart business people understand that the price tag doesn’t reflect everything…. that’s why they are successful in business. If someone were selling milk outside your office for a nickel a gallon, would you drink it? Why not, it’s cheaper? OF COURSE you wouldn’t so why would you ever invest your family’s future into something just because it’s cheap? We not only choose NOT to hide our features and benefits; we WANT everyone to know what they are. We love for customers to come to classes and feel, touch, operate our equipment in a real business setting. No one buys a car without driving it and this is much more of a major purchase – it reflects not only in the upfront cost but it directly affects your ability to MAKE MONEY. It’s your Legacy. Your Future. Your Quality of Life. It’s not worth the chance. You MUST do your homework! Let’s look at this another way: What if Company A and Company X each show the same size powder coating oven online (let’s assume 8′ x 8′ x 20’) and the price on the company A oven is $2,000 cheaper? The smart thing would to be jump on the less expensive one, wouldn’t it? What if you knew that Company X was the first in the world to ever build batch ovens and Company A had been in and out of the business, under different names, numerous times in the past 10 years? Make any difference? Now, what if you knew that Company X ovens were all built to National Fire Code and Company A used many commercial components rather than industrial components and had multiple occasions where city codes inspectors red flagged their operation? Would that tilt the scale? And finally, what if you found out that Company A used burner technology from the 90s and the cost to run their oven was $25 per hour and a Company X oven (using the latest in jet fire technology) cost $5 per hour? At a savings of $20 per hour, there would be over $40,000 in savings on a 40-hour week…. enough to have more than paid for the oven!! You could literally purchase a new oven and still put over $10,000 in your pocket EVERY YEAR on GAS SAVINGS ALONE!! That would get the attention of even the most amateur of business minds. That all being said, I would bet that, at this point, you expect that our brand of equipment is pretty expensive huh? I mean, I’ve just spent several paragraphs trying to show how price and value are different so I must be trying to justify some very expensive pricing? Actually, it’s quite the contrary. Because we build more units in a month that most everyone else in the U.S. COMBINED builds in a year, we are able to produce our units at a very reasonable cost. As a matter of fact, they are some of the lowest in the industry. You weren’t expecting that one, huh? As the owner of this company I have simply chosen to not put the pricing forward because I want you to speak to one of my Systems Agents (or even myself) before you purchase. 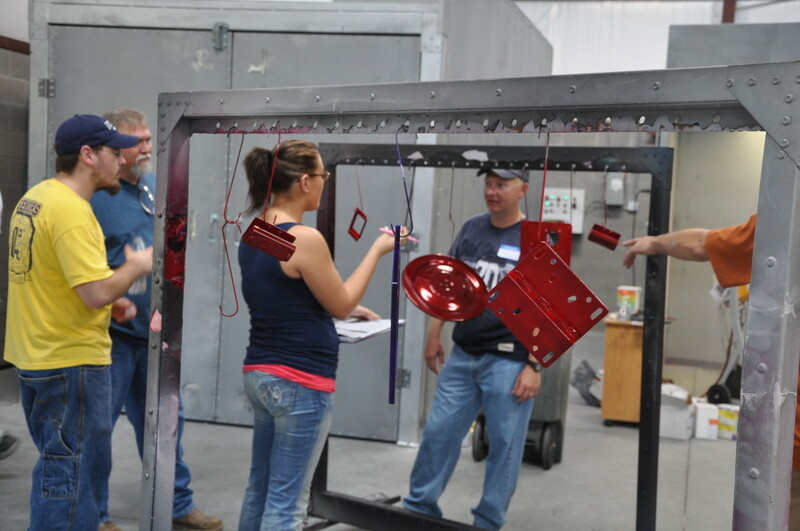 We have trained thousands of people on how to open profitable powder coating businesses and we have an unparalleled perspective on the industry. I’ve personally done over $50 million in this industry and have the mistakes to prove it! I’ve walked IN YOUR SHOES and want to help you LEARN FROM MY MISTAKES. Let us give you free direction and advise. Let my staff provide you with a quote that is full of technical information that you will need for codes. Come visit us at a class and USE the EQUIPMENT or at least call some of our clients and speak to them. You owe yourself that much. Quotes are free and we don’t charge for our time. Just fill out this form https://powderx.com/contact/ and one of my staff will be back with you as quickly as possible. AFTER you get the quote, I then WANT YOU to shop around. You will see why we are recognized worldwide as the best. I personally guarantee that I will beat any price you provide me with, in writing, on equipment with the same capabilities and components. And not only will I beat it, but I will throw in some free business tools as well. If you’re interested in attending one of the classes, visit www.powderx.com/training for the class schedule. Just remember, the classes sell out weeks in advance and are limited so book your seat today. In closing, remember that you can always reach me at joey@powderx.com or at 888-326-4840. Be sure to also follow us on Facebook and Instagram for special offers. Until then, peace prosperity and happiness to you all!